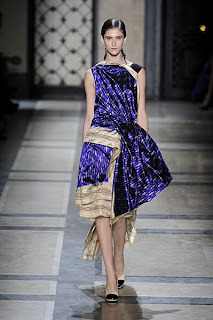 Dries Van Noten’s cleverly offhand mix of batiks and ikats, beading and silvery sparkle was as pleasurable to watch as it will be to wear at spring/summer 2010. 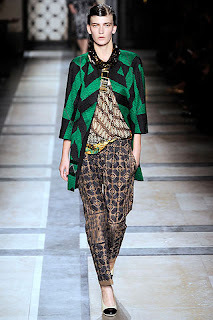 Keeping it urgent and not ethnic-schmethnic? 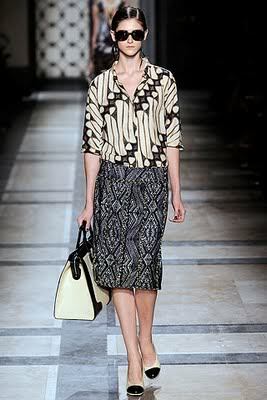 The designer’s fine grasp of proportions for a modern urbanite’s wardrobe: the slim trench, boyfriend jacket, slouch trouser, pencil skirt. 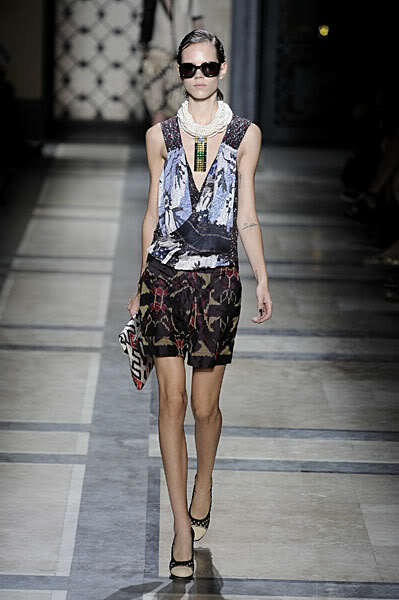 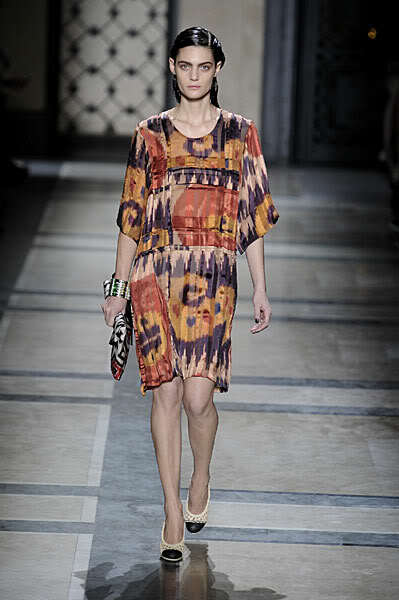 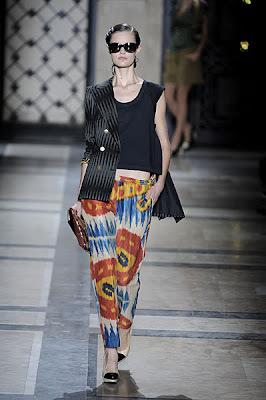 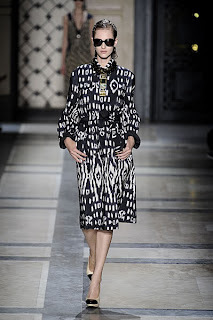 Here are some Dries Van Noten summer/spring 2010 collection which are designed by using Batik and Ikats or tenun. They are presented at Paris 2010 modeThey are the traditional and ethnical Indonesian batik. This is proof that Indonesian batik and ikats have been accepted internationally.